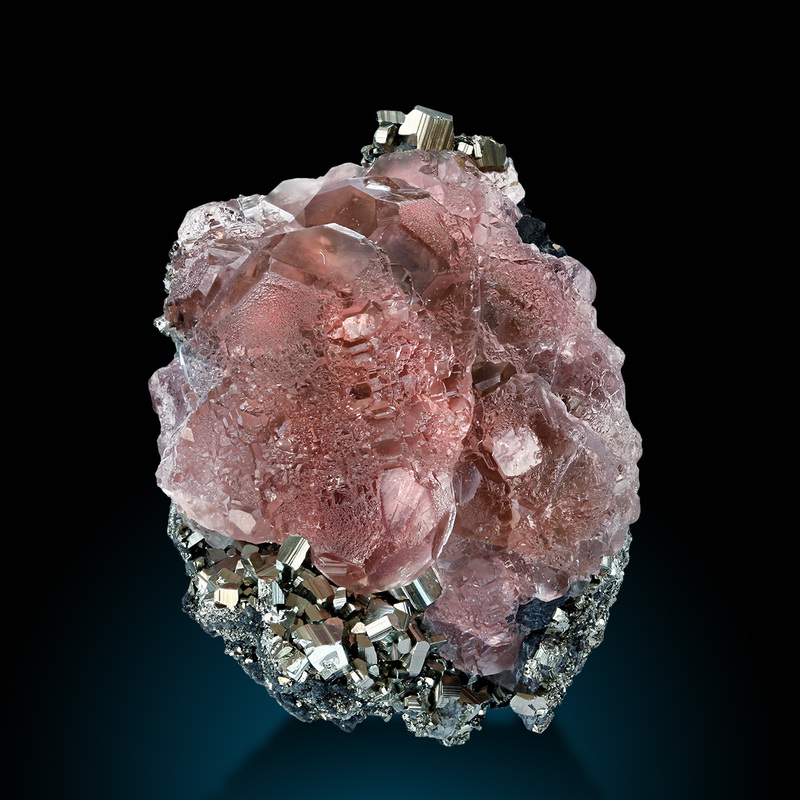 This famous discovery produced the only relevant combination of pyrite and fluorite world-wide. The pyrite shows intense golden color and high lustre. The fluorite is an octahedron with modifications of rhomb along the edges and a further modifiation of hexaedron (=cube) at each corner. The crystal shows a very good transparency and glassy character. 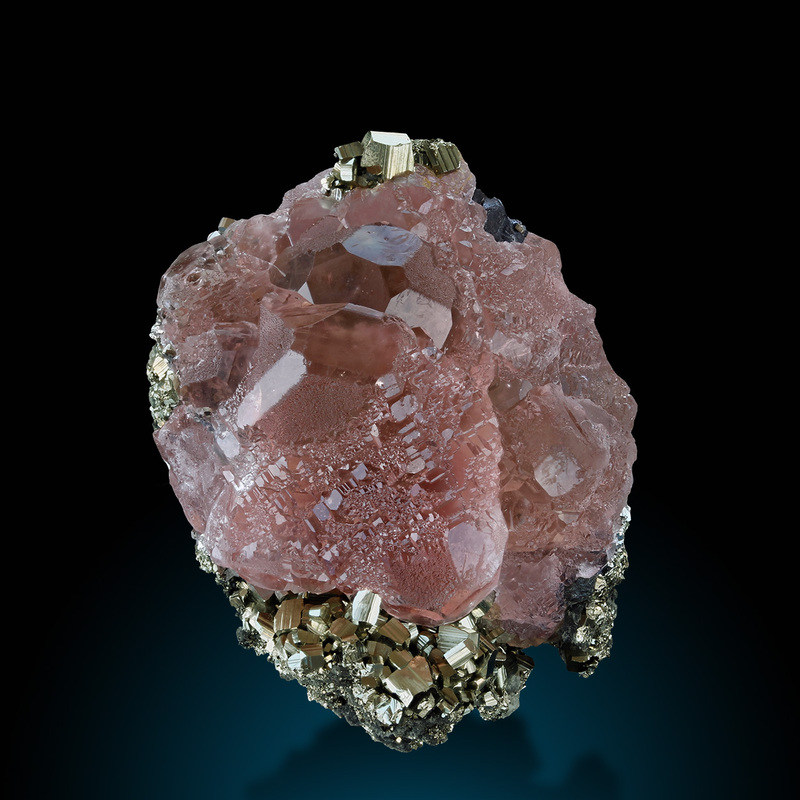 The saturation of the fluorite is remarkable - most pieces show only very pale color, but this one is strong pink! This material was found in the late 80ties and never came again - very rare and hard to obtain! No significant damages to report.